Audrey began riding at about age three in San Francisco, CA, United States of America. "My family lived in the suburbs and our neighbours had horses. My sister and I would spend time with the horses and ride. From then on we had lessons, started to compete more seriously and never stopped." 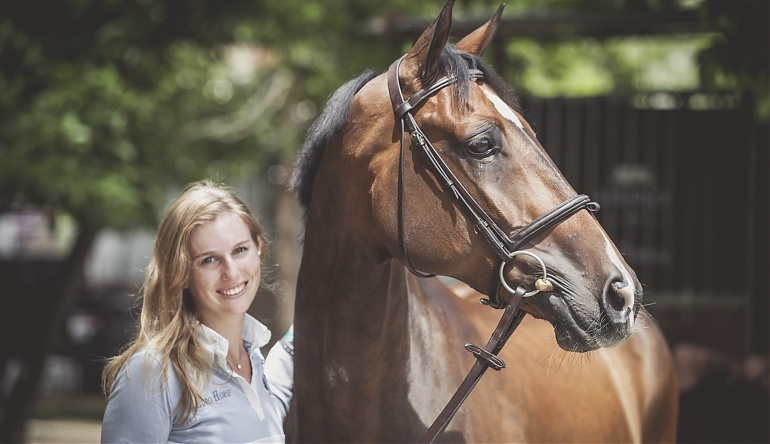 After spending four years in Germany training with Meredith Michaels-Beerbaum and Markus Beerbaum, she began working with Dutch coach Harrie Smolders in June 2014. Audrey and her sister Saer divide their time between Copernicus Stables in San Francisco, CA, United States of America, and Smolders' base in Grobbendonk, Belgium. Her older sister Saer has also represented the United States of America in showjumping. Audrey finds it useful to have a family member who understands what it is like to compete at an elite level. "Sharing this passion [for showjumping] has made us close. We're each other's biggest cheerleaders. Having her to watch and talk through the courses with me is also very helpful."